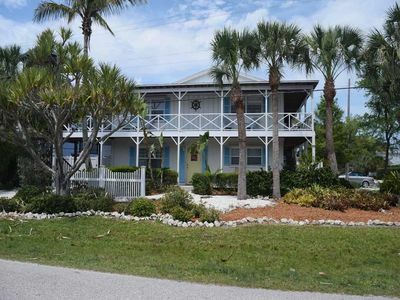 THE WEEK OF APRIL 6-13 AND MAY DATES ARE STILL AVAILABLE AND HAVE BEEN REDUCED. MAKE ME AN OFFER! 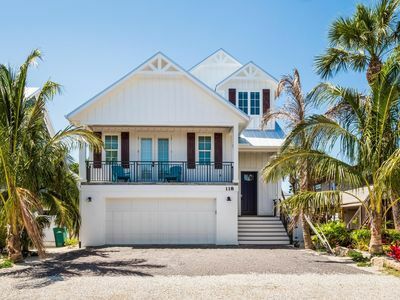 Sunset Landing is a newly built 6 bedroom, 4.5 bathroom vacation home sitting West of Gulf Dr. that sleeps 12 and is the perfect spot to gather 2 or 3 families together for a memorable beach vacation! 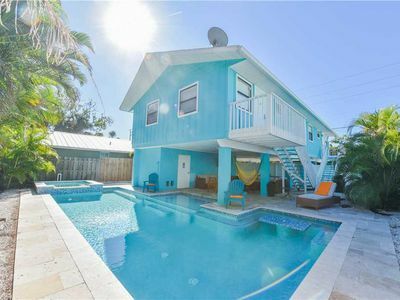 The beach vacation home is professionally decorated and has it all! 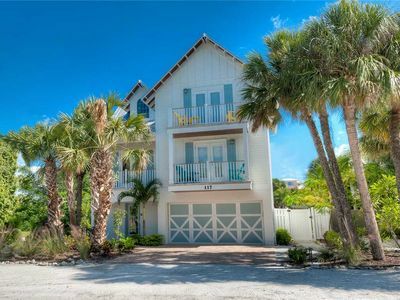 Granite counters, travertine tile, fine fixtures, and fantastic beach-style furniture and decorations make this luxury vacation rental the perfect spot for family and friends. 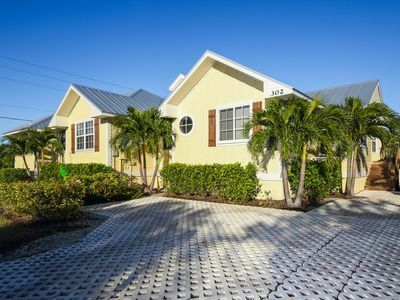 There are flat screen HD TV's in every room, wireless high-speed internet for staying connected, bikes and a complement of beach amenities for your fun family day at the beach. The kitchen is fully stocked with all of the amenities of home. Bath and beach towels are provided along with bed linens and pillows, and there's a washer and dryer on the main level as well in case you need to wash those swimsuits mid-week. LOCATION, LOCATION, LOCATION! 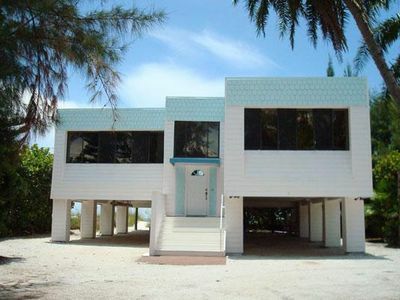 This house is perfectly located West of Gulf Dr, and it's an easy 2 minute walk to the beach. Also, being located in the center of the island makes it so easy to get to shops, restaurants, bars and activities. Publix, CVS and the Manatee Bridge to get on and off the island are all less than a mile away as well! 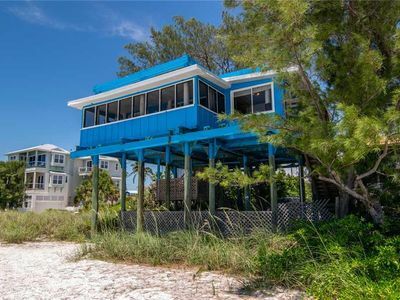 Plus, the free trolley stop is practically right in front of the house to take you anywhere on the island! 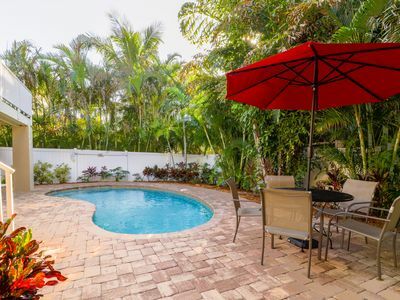 The private heated pool is West facing and enjoys lots of sunshine. 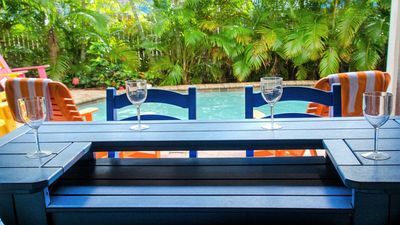 There is recently updated covered lanai with ceiling fans, bar, TV and new high end lounge chairs and a patio dining set with seating for 8 located just off the pool. A stainless steel grill makes it a fabulous place to BBQ and enjoy fun in the sun. Cook up that fresh fish from your exciting fishing adventure - you can't get more fresh than that! 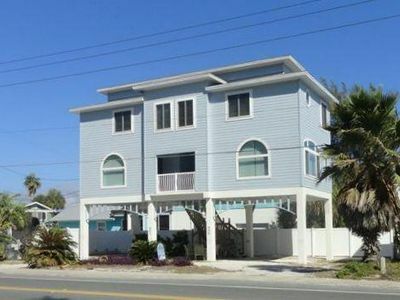 The beach house has 6 bedrooms - 4 with king beds, one with a queen bed and the 6th one has 2 sets of twin bunks. The 6th room doubles as extra living space as it features an X-Box gaming system for the kids to hang out (bring your own games). For kid AND adult entertainment, the home also features a cool, old-style stand up video arcade game with over 200 games, including Galaga, Ms Pac Man, Pac Man, Donkey Kong and many more! If foosball is your game, then slip down to the poolside lanai for a quick game of foosball. This home has PLENTY of room for everyone to sleep comfortably in the 9 beds plus pull out queen sleeper sofa in the living room. There is also a lot of room for everyone to spread out to have their own space too. The living room has 2 couches, benches and chairs, and the kitchen has a large table with breakfast bar seating as well. 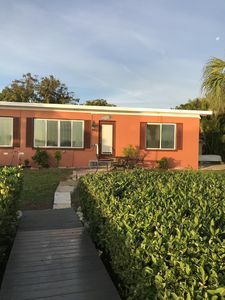 This property also provides bikes and many beach amenities - 2 beach carts, several beach chairs, toys, floaties, skim boards and beach umbrella. Looking for a little exercise while you're here? 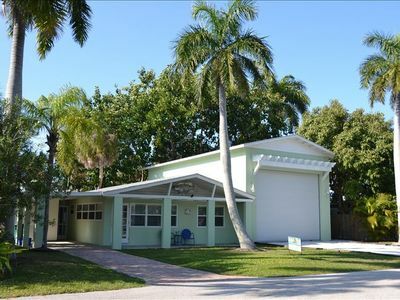 There is a fitness center 4 blocks away where you can purchase a day or week pass, or contact the Anna Maria Island Community Center to take advantage of the use of the fitness center, tennis and pickle ball courts, fantastic discounts on classes and programs such as Yoga, Pilates, dance, art and various activities for kids! We are proud to include a professional linen service to enhance your upscale vacation experience. This luxury amenity provides plenty of freshly laundered, high quality linens that are in place and ready for your use upon your arrival. Our high-quality linens are professionally laundered in a commercial setting using the latest and best technology. 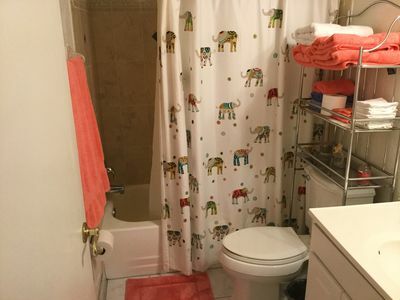 These linens include sheets, pillow cases, bath towels, hand towels, wash clothes, beach towels, kitchen towels and kitchen dish rags. Leave your worries (and your sheets and towels) at home and leave the cleaning to us! 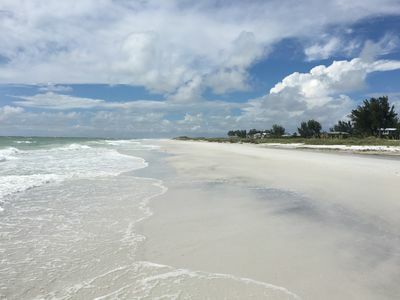 Come see how fun Anna Maria Island can be with your family and friends!! The memories will last a lifetime. 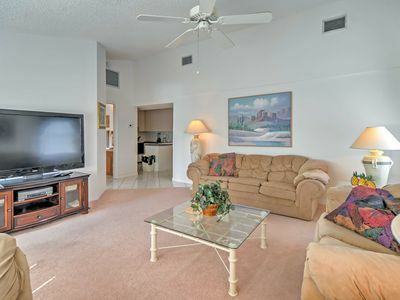 2BR Holmes Beach Condo w/Gulf View! 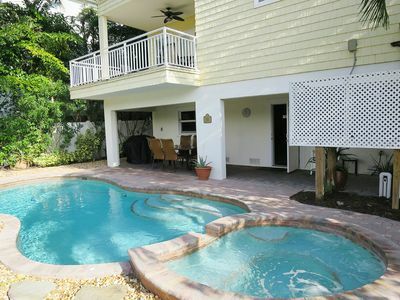 Incredible, dog-friendly house with private heated pool, close to the beach! 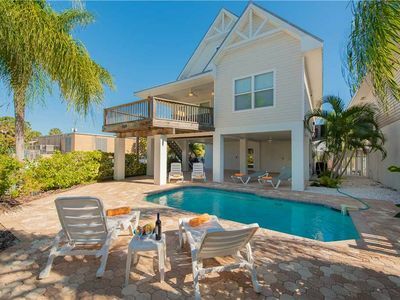 Comfortable island villa w/ private pool, courtyard & easy beach access! 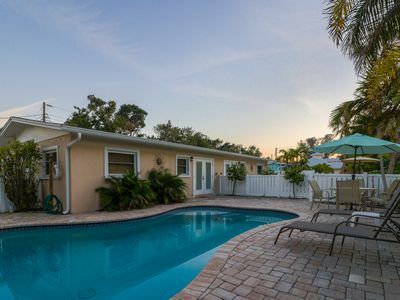 Dog-friendly house w/ private lagoon pool - two blocks from the beach! 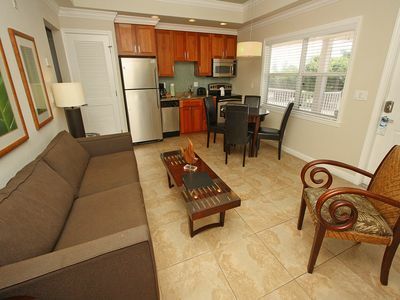 Book now for JUNE , great rate ,beautiful 2 bedroom 2 bath BEST LOCATION !!! 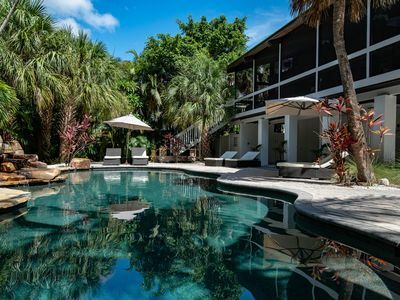 Luxury waterfront home with a heated pool and spa!